The clock is winding down on 2016, and we’d like to encourage you to put one other thing on your holiday shopping list. A visit to the dentist! If you have dental insurance but haven’t used all your benefits for the year, you should know that they will expire when the ball drops on New Year’s Eve. That means you’ll have to reach your deductible all over again to receive discounts in 2017. At Aesthetic & Family Dentistry of Washington, we accept all PPO (preferred provider organization) plans. We are in-network with Aetna, Blue Cross Blue Shield, Delta, MetLife, Humana Dental, and Cigna. We invite you to give us a call to discuss the specifics of your dental insurance plan. 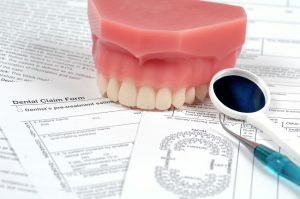 Unsure of how to maximize on your dental insurance? If you have not had two checkups and cleanings this year, that’s a great place to start. Preventive dentistry is fully covered by almost all dental insurance plans, including an annual set of x-rays. Checking up on your teeth even when you don’t think there’s a problem is key to enjoying good oral health for a lifetime. At your checkup and cleaning, our dental hygiene team removes the plaque and tartar buildup that causes decay and infection. Then your dentist visually examines your teeth and any x-rays we’ve taken to look for issues like cavities, worn dental work, gum disease, and even oral cancer. If issues are detected in the checkup, we will put together a plan for restorative dental care. Routine procedures like fillings and root canals are typically 80 percent covered by your insurance plan. A CEREC one-day crown is something you can certainly have performed before the year’s end — and this more complex restoration is usually 50 percent covered by your insurance. It may come as a surprise that some insurance plans cover cosmetic treatments as well. Tooth-colored fillings and indirect fillings are aesthetic options for restoring teeth following decay or damage. Your cosmetic dentist in Washington DC is committed to enhancing the aesthetic appeal of your smile as much as its health, and we are pleased to help make these treatments even more affordable. What treatments am I completely covered for in 2016? Which benefits remain unused this year? How much do I have left to reach my annual maximum? Our office can also help you decide which treatments would benefit your oral health most. Don’t Wait to Schedule an Appointment! Take advantage of your investment in your dental health by maximizing on your benefits in 2016! December is a busy month for us at Aesthetic & Family Dentistry of Washington, so don’t wait to request an appointment with Dr. Obholz. Let us know you are taking advantage of your insurance benefits at year-end and we will find a convenient opening for you.